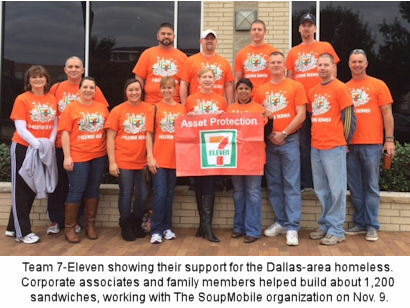 The SoupMobile also shelters the homeless in their eight group homes in a program called SoupMobile Village. And every year the SoupMobile takes 500 homeless men, women and children off the streets of Dallas and puts them up at the spectacular downtown Dallas Omni Hotel for Christmas. You can find out more about the SoupMobile by going to www.soupmobile.org. for submitting the article and picture.